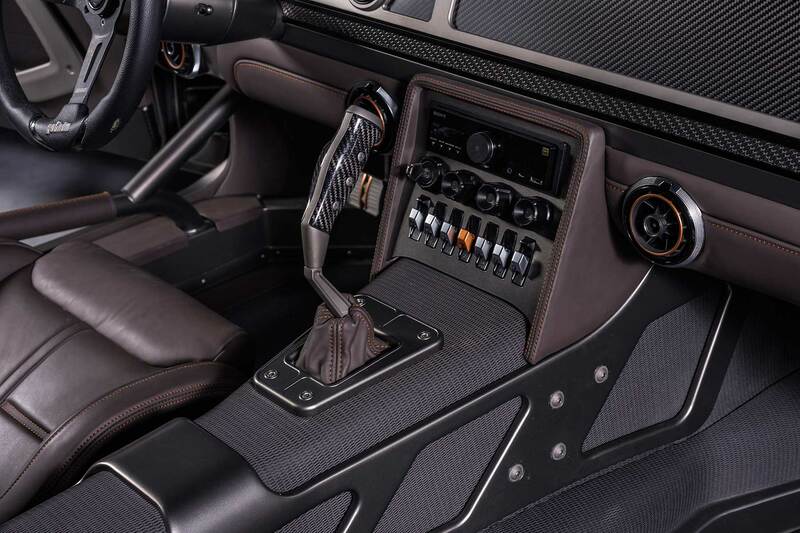 There is no shortage of extreme machinery on offer at the 2018 SEMA Show, but this latest offering from Wisconsin-based SpeedKore could take some beating. 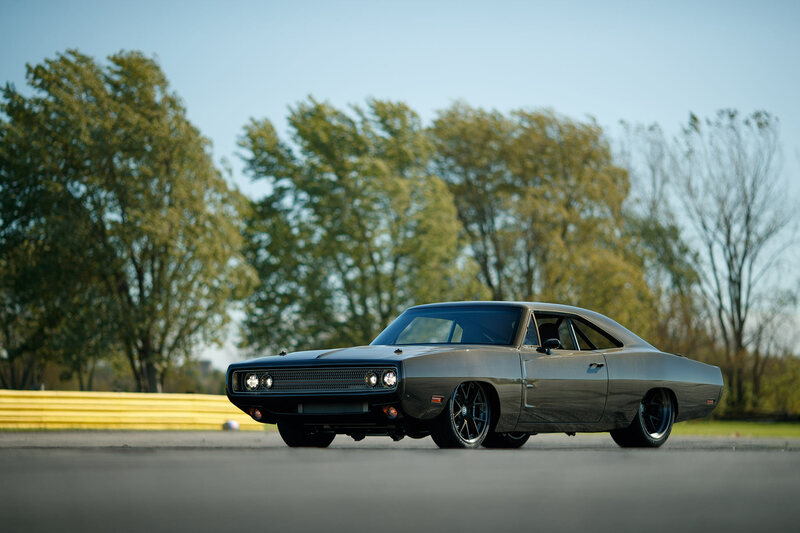 Officially titled as ‘Evolution’, this 1970 Dodge Charger has certainly undergone a process of development. The car first found fame in The Fast and Furious movie, wearing the name ‘Tantrum and powered by a 1,650hp 9.0-litre turbocharged V8 engine. 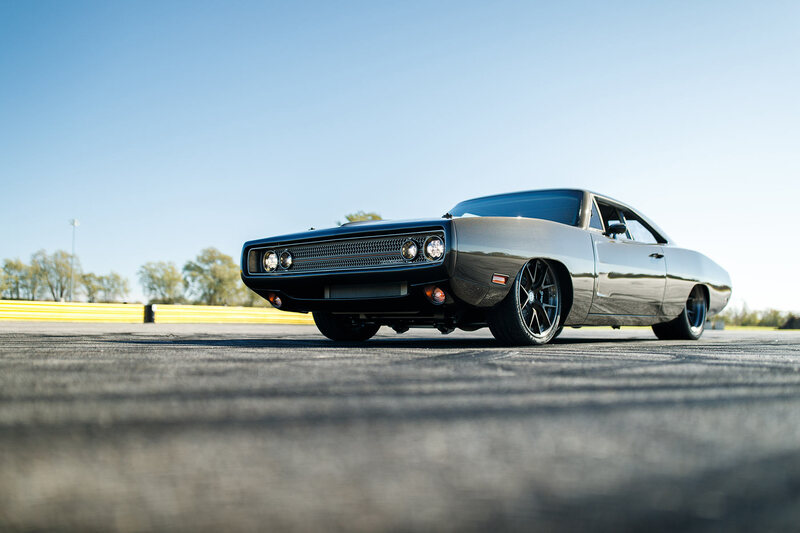 However, SpeedKore promises that the changes are huge, and that Evolution represents “the most advanced 1970 Dodge Charger” anywhere on the globe. A bold claim, but one that is backed up with fastidious engineering. 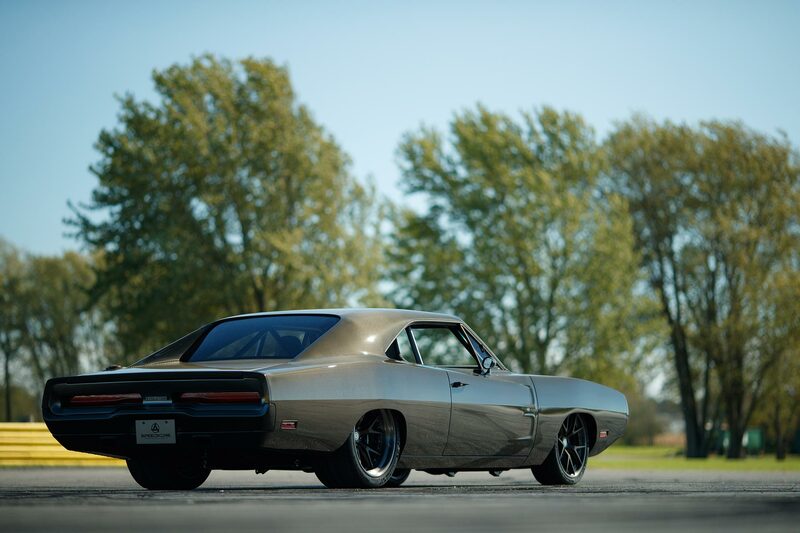 In a world where adding more power seems a natural occurrence, the Evolution Charger bucks the trend. Outgoes the previous Mercury Racing engine, and in comes the 6.2-litre supercharged Hemi V8 from the Dodge Challenger SRT Demon. It has been upgraded from the stock 840hp, and now produces a verified 966hp at the rear wheels. 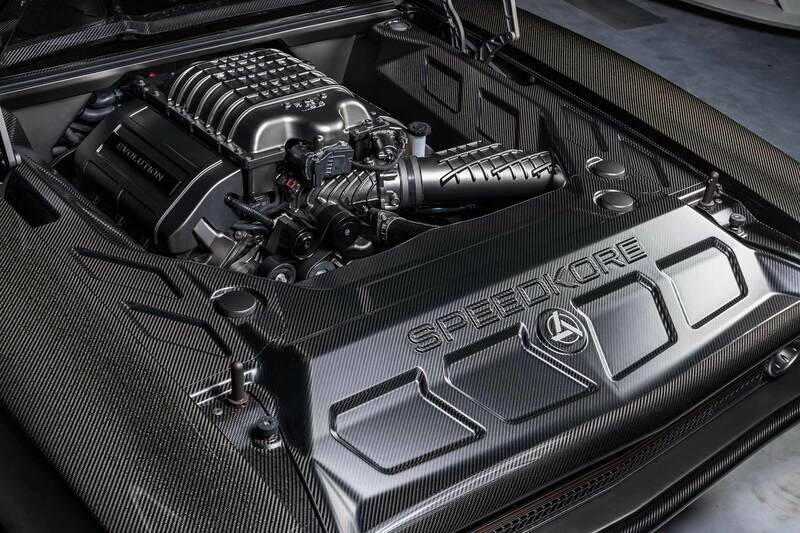 Whilst that may be almost 700hp less, SpeedKore maintains that this makes the Evolution easier to drive. And don’t worry, 1,000hp is still capable of offering “tremendous acceleration” according to SpeedKore Vice President Dave Salvaggio. 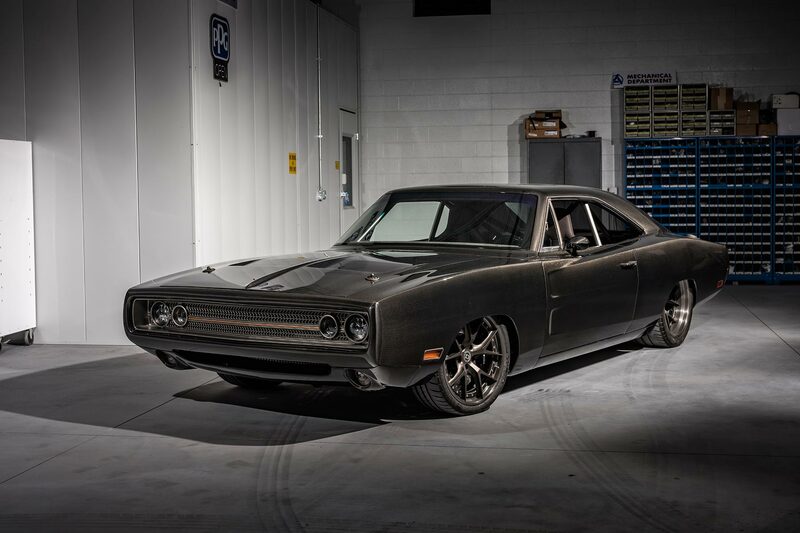 Aiding that performance is a complete overhaul of the Charger’s construction. 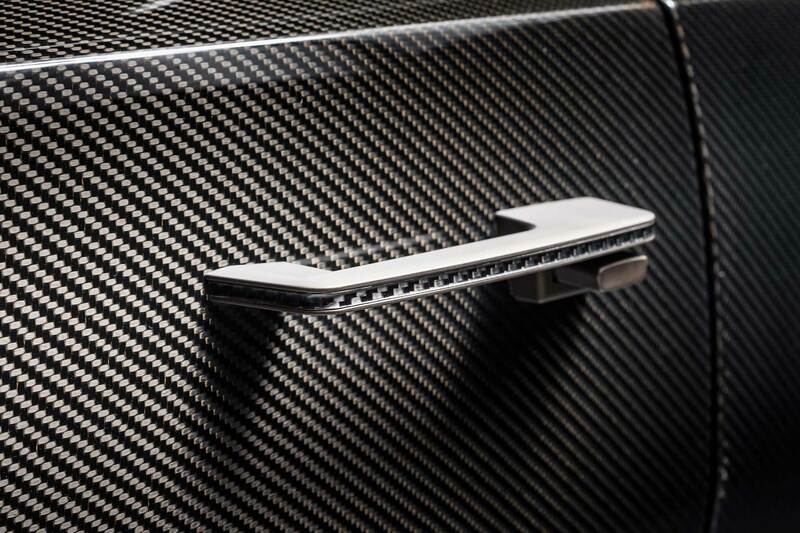 Lightweight carbon fibre is employed extensively, matched with bespoke billet aluminium components, to meet a target weight of 1,450kg (3,200 pounds). 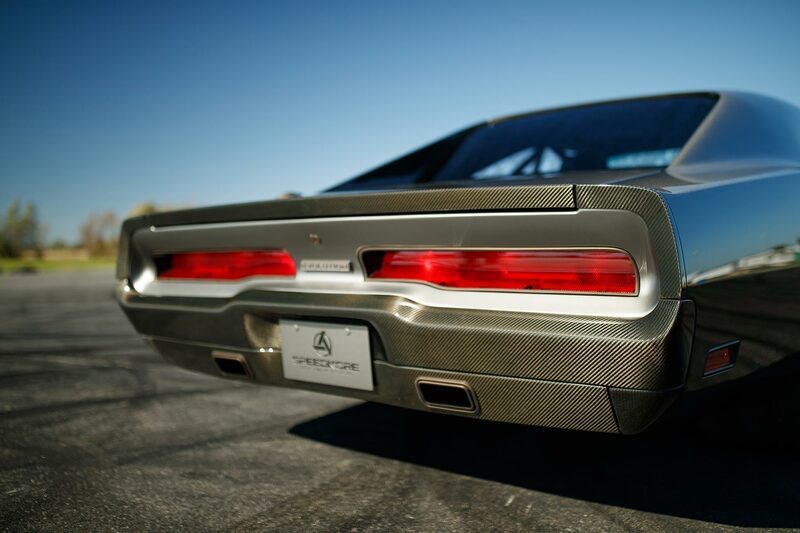 Much like SpeedKore’s lightweight Demon, carbon fibre is used to create every body panel on the Charger. 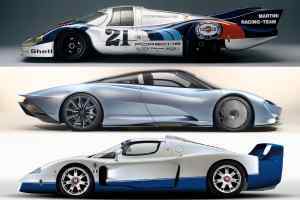 That includes a single one-piece carbon fibre roof, created in a special autoclave, along with the doors, bumpers and quarter panels. All the carbon fibre panels are left with a polished clear coat, allowing the natural weave to be seen. The billet aluminium pieces, including the exquisitely detailed door handles, have a bronze-nickel coating to make them stand out. 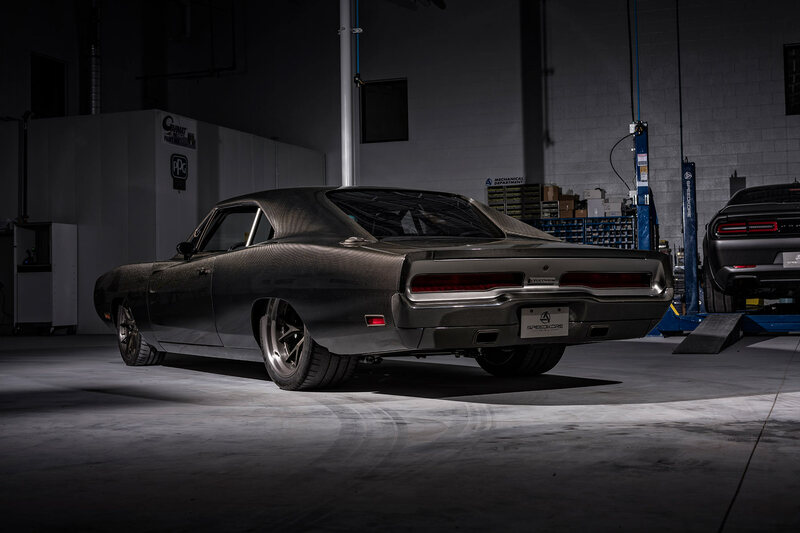 Whilst the Evolution Charger might be impressive as a whole, delving into the individual details demonstrates the thoroughness of the build process. 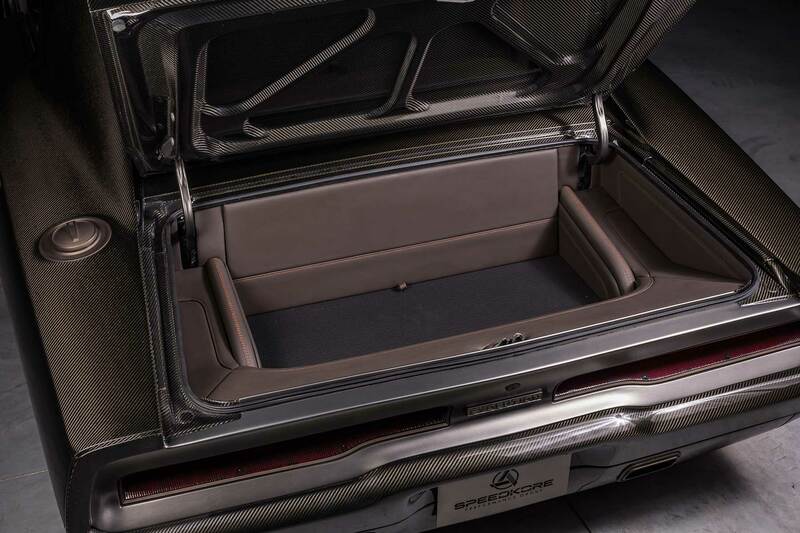 Those door handles feature a narrow strip of carbon fibre running through them, whilst the boot is lined with meticulously stitched leather. In fact, the entire interior features a custom remake, with a bespoke dashboard, CNC-milled steering wheel, and Recaro bucket seats. 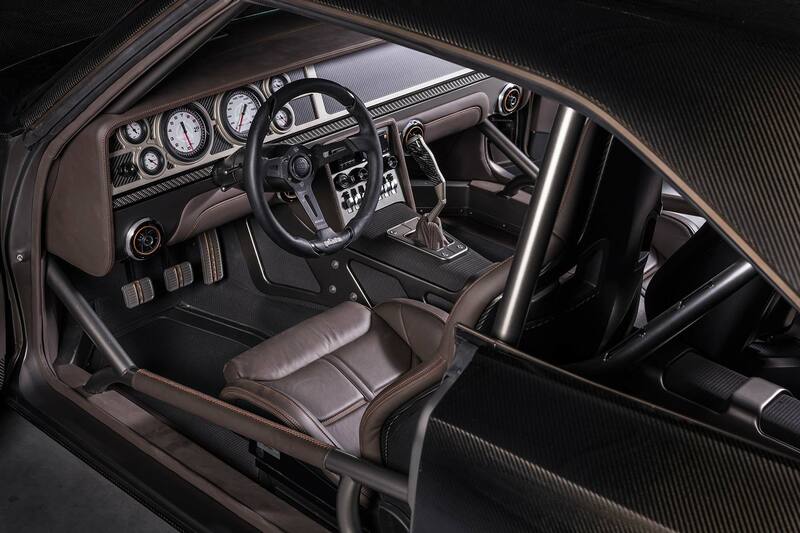 SpeedKore also produced a custom 14-point roll cage, mounting fuel and oil lines hidden inside to keep the carbon and leather clad interior neat. 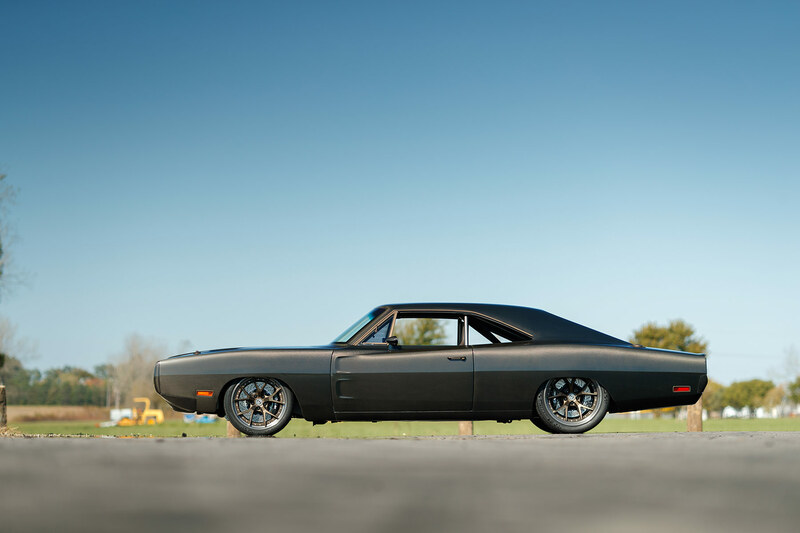 Even the classic Charger pistol-grip shifter gets a carbon makeover, connected to a Tremec six-speed gearbox. All other major components feature motorsport-inspired upgrades. This includes the Penske adjustable coilover suspension, Brembo GT brakes, and HRE alloy wheels. 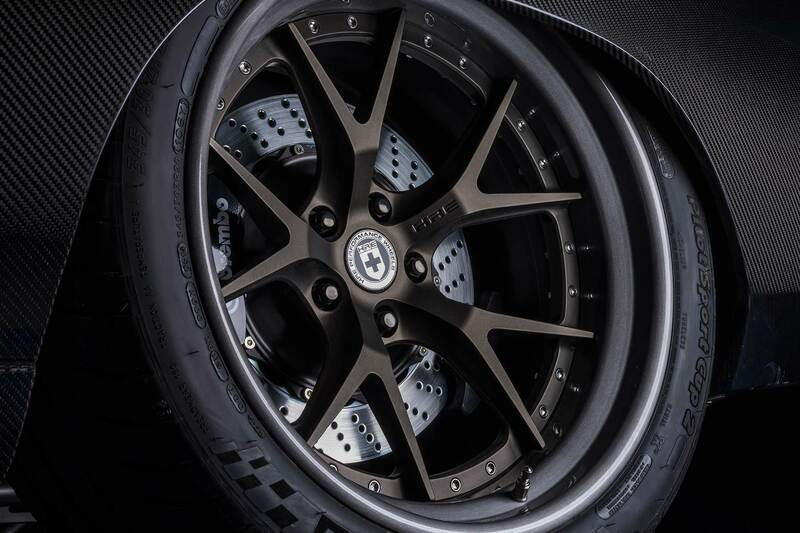 The latter feature the same bronze-nickel colour, and are wrapped in Michelin Pilot Sport 2 tyres. SpeedKore won a Best in Show award at the 2017 SEMA Show, claiming the prize for a special Ford Mustang, created for Robert Downey Jr. 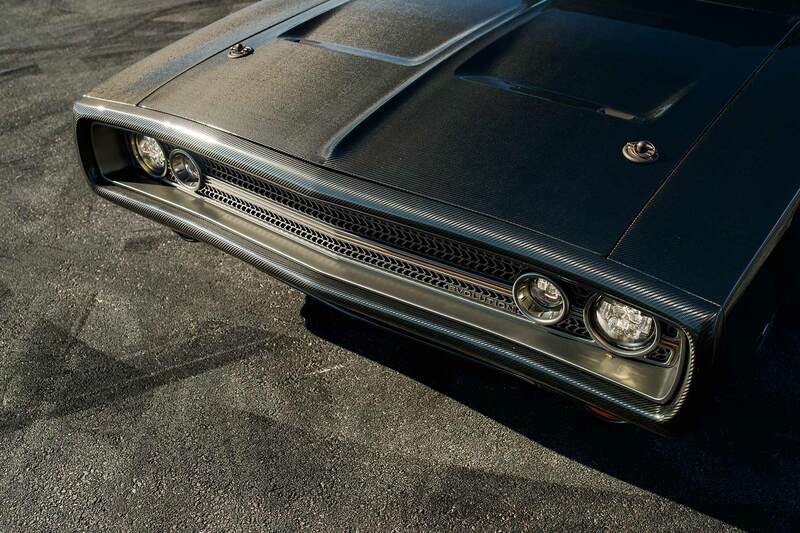 Given the attention to detail applied to the Evolution Charger, it would seem a safe assumption that this carbon-clad muscle car will collect more silverware this year.